We still have a great deal on the XXL Shower Speaker in the Geeky Gadgets Deals store today, you can save 80% off the regular price. 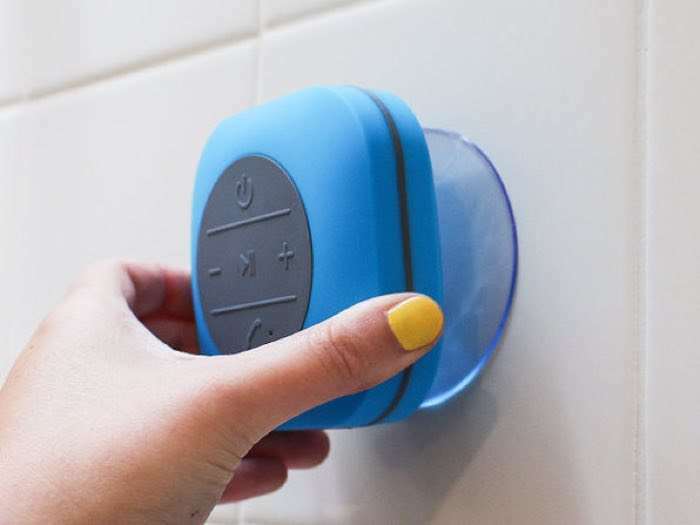 The XXL Shower Speaker is available in our deals store for just $19.99 and it normally cost $99.99. Twice the size and twice the power of typical shower speakers, the XXL Shower Speaker pumps out 3 watts of sound while making and receiving crystal clear calls. If that’s what you want to do in the shower. With Bluetooth 4.0, the speaker works with a perfect connection and a newly enlarged battery lets you charge the speaker less than once a month. You can find out more information about this great deal on the XXL Shower Speaker over at our deals store at the link below.